Dark spots on your face come from aging and sun exposure. Age or sun spots arise when melanin, the pigment in the skin that deepens with tanning, accumulates in one area. Dark spots take years to develop, and once in place must either be covered cosmetically or bleached. Chemical bleaching may lighten the spot, at least temporarily. However, if you decide to cover the spots instead, the process requires some basic makeup products and a little time. 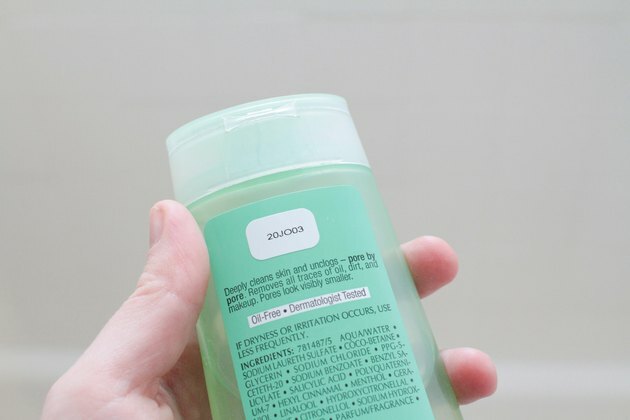 Wash your face with a mild cleanser. Pat your skin dry with a clean towel and apply a face moisturizer. Apply a light makeup base or foundation. 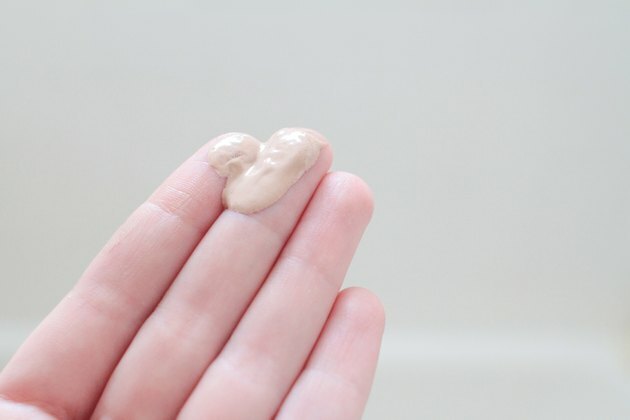 Use a liquid product close to the same shade as your skin color. Dab the makeup onto your fingertips and smooth the makeup over the surface of your face. Blend the makeup well. Do not focus on the dark spots. Foundation is meant to even out the overall color of your skin. Select a color-neutralizing concealer based on the predominant color of the spot. "Good Housekeeping" recommends mint green to cover red areas, yellow or orange for dark spots, and lilac or pale green for a yellowish tint. You may need more than one color to cover the area adequately. For example, use a red-based concealer to cover a dark brown spot and a yellow product to neutralize the red. 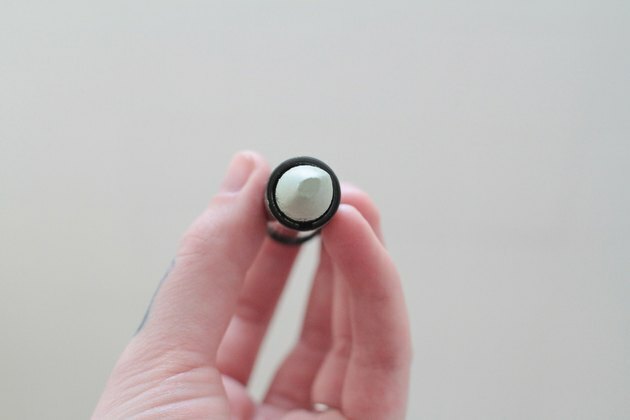 Place the tip of a solid light-colored concealer stick directly on the spots and apply the concealer. 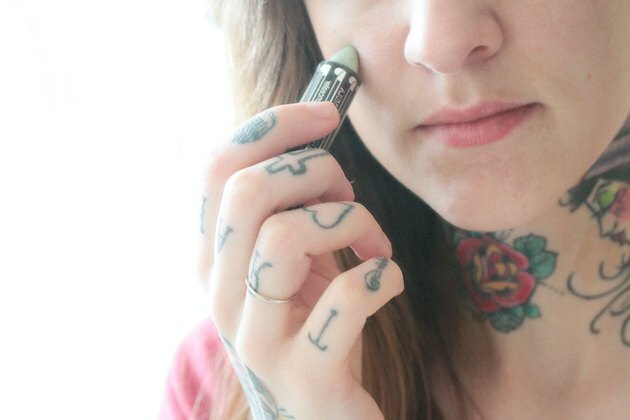 This concealer should match your skin tone or be slightly lighter. Use your fingertip to blend the multiple colors of concealers together to cover the spot. Look at the spots in a mirror; if you can still see them, repeat the process until they disappear. 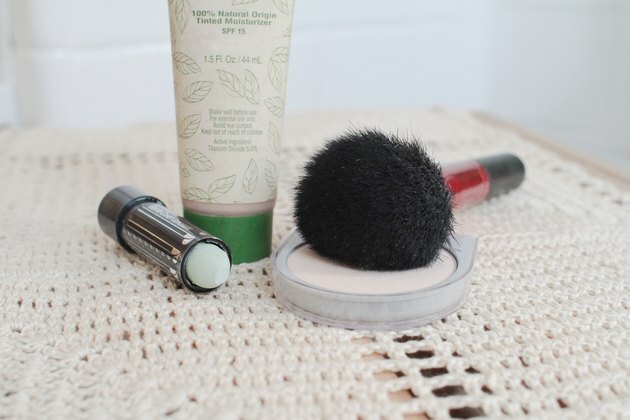 Brush on loose facial powder to set the makeup. 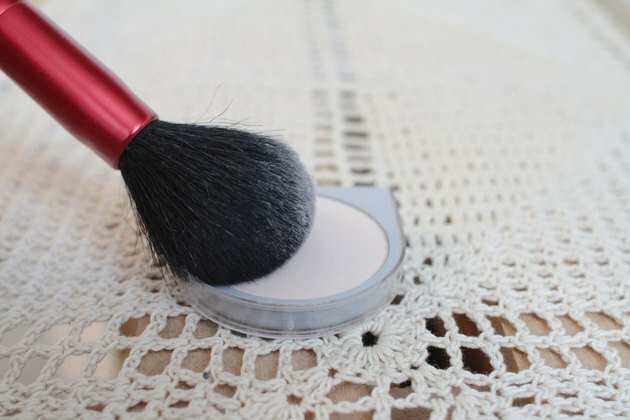 Powder helps protect the concealer from rubbing off and exposing the spots. Spots with irregular edges, or that bleed or change color suddenly need to be evaluated by a doctor. Irregularly shaped areas can indicate skin cancer.